Whether you’re a short-term expat or just visiting, having travel insurance in Cambodia is crucial. (Long-term expat? More info on health insurance here). If you’ve read my friend’s horror story, you’re probably already convinced. If not, read on. Just because you’re young and healthy doesn’t mean you won’t need medical care. Accidents (often of the traffic variety) happen with astonishing frequency. Last year, nearly a dozen of my friends in Siem Reap contracted dengue fever. I got bitten by an unvaccinated puppy and had to get rabies shots in Sihanoukville. Even if you’re a low-risk traveler, that’s no guarantee that you won’t get sick or hurt. The clinic in Sihanoukville where I had to get an overpriced rabies shot. 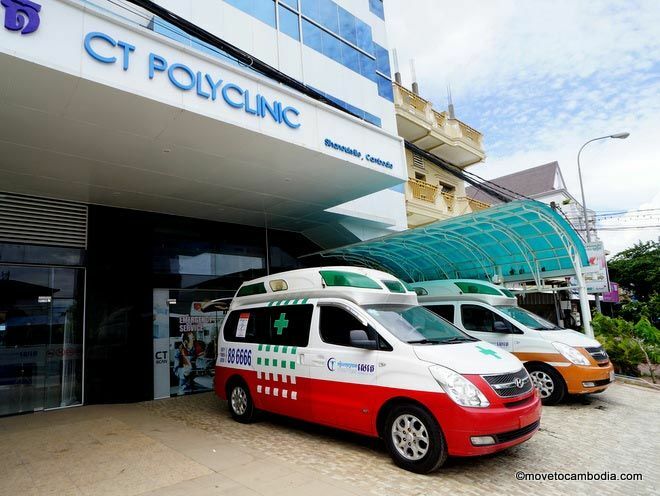 Many people traveling around Southeast Asia think that they don’t need to buy an insurance plan because medical care in the region is cheap; they figure they can just pay out of pocket if an emergency comes up. And that’s true for minor complaints, but if you need to stay overnight or have surgery, the cost can be in the thousands and even higher if you need to leave the country for care. Most expats familiar with the state of medicine in Cambodia wouldn’t dream of having even minor surgery here, and neither should you. If for any reason you end up in the hospital, payment is always required up front. Cambodian hospitals have been known to let patients die rather than give them free care. So unless you have a credit card on you — and remember that purses and wallets are often stolen in traffic accidents — know that without insurance you won’t be receiving care (and even most policies require payment up front, particularly for smaller claims). For anything but the most minor problem, most foreigners will opt to go to Bangkok or Singapore for treatment. If you aren’t able to make it onto a plane under your own steam, you’ll need to be airlifted by helicopter, which can cost upwards of $20,000. And here, too, payment is required up front. If you need a medical evacuation back to your home country, it can cost five times that. Even flying home with a broken leg can require an expensive business-class seat. Depending on your policy, travel insurance covers a range of other situations, from cancelled trips to delayed flights, from stolen cameras to lost baggage. If you end up in the hospital, your plan may cover flying a parent or partner to Cambodia to be with you. 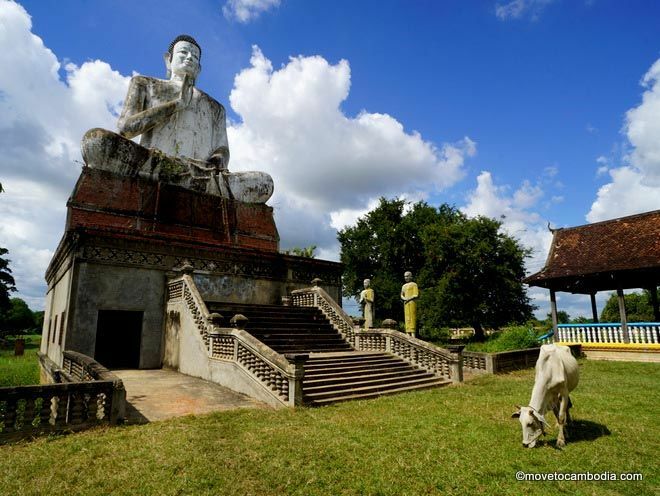 Many of the most important benefits of travel insurance in Cambodia are not medical in nature, so be sure to check your policy before you go. 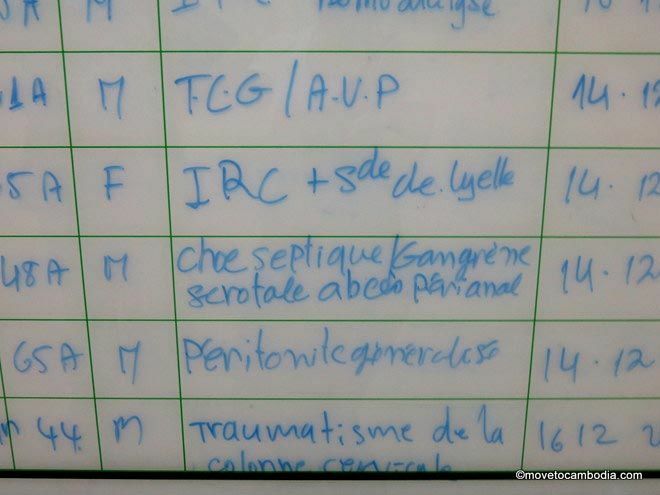 A range of illness can befall you in Cambodia — this is from a ward at Calmette Hopsital. Make sure that your plan has a high enough rate of coverage that an accident would be covered. An insurance plan that only covers $3,000 in care won’t be much use to you if you get into a major accident. I look for a minimum of $25,000 for medical expenses, and at least double that for evacuation. Ideally, you’ll be covered $100,000 for medical expenses and at least the same for evacuation. If you think you might end up wanting to stay longer (and let’s face it, Cambodia is known for its irresistible charm), make sure that the travel insurance plan you are considering will let you extend your policy while you are abroad — and be aware that most don’t. Many travel insurance policies have the same underwriters, so your plan may be essentially the same if bought through one company as through another. However, some companies have a reputation for going to bat and fighting the underwriters on behalf of their clients, while others won’t. Ask your friends which plan they use; Google the company you are thinking of going with and check out a few expat forums. Reputation is important when it comes to travel insurance. If you’re planning on doing adventure sports or driving a moto, be aware than many policies will not cover these sorts of activities. If you think you’ll be doing anything out of the ordinary, check to make sure it will be covered. If you have any sort of pre-existing condition, be sure to read the fine print. Some companies won’t cover anything related to any condition you’ve had ever, while others will cover anything that hasn’t occurred in the last six months. Check out the travel insurance policy before you buy. What’s covered? What isn’t? Read the website to find out more. A company that is up front about what they cover and what they don’t is more trustworthy than one that hides to hide this information in the small print. Here’s a good example of transparency by a travel insurance company. World Nomads travel insurance*. I met the general manager of World Nomads at a Travel Massive meetup and talked to him about all of the “what if” scenarios I could imagine. Perhaps more importantly, I knew many people who have made claims with them and have had no complaints about the process. My friend Brock has made two claims with World Nomads, one for a health emergency and one for a theft, and said that both were handled efficiently and quickly. Another friend in Cambodia had extensive dental work covered by World Nomads, and another was covered for a sports injury. (Luckily, I’ve never had to make a claim myself!) On my most recent trip in 2019, I came down with bronchitis. I went to the doctor twice, got prescription medications, and saved all of my receipts and submitted them to World Nomads. My claim was quickly approved and paid a few days later. World Nomads is designed for independent travelers and will let you extend your policy while you are on the road. They will even let you sign up when you’re already out of the country. So if you’re in Cambodia reading this, don’t worry, it’s not too late! World Nomads have a great reputation and are easy to get in touch with, whether by phone, email, or Twitter, and are very transparent about what they do — and don’t — cover. That said, it makes sense to shop around and compare policies to find the best one for you, depending on your specific needs. With World Nomads, they have different underwriters (and different policies) depending on your country of residence. With any plan, be sure to read the policy wording carefully so you know in advance what you are buying. I compared a half-dozen plans in a similar price range, and the difference in coverage was astounding. Some offered just $15,000 in medical coverage for the same price (or more) that other plans charged for $100,000 in coverage. Personally, my superstition is that the better the insurance plan you purchase, the less likely you are to need it. But if you do find yourself in a medical crisis or other emergency, you’ll be glad you spent a few extra minutes to make sure you got the best coverage possible. We use World Nomads ourselves when we travel, and have for years. We think they are reliable, trustworthy, and transparent. 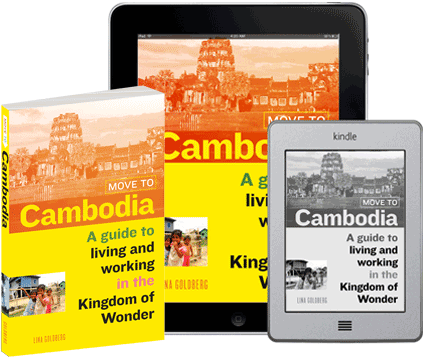 If you purchase a World Nomads policy through Move to Cambodia, we may receive an affiliate commission. If you are considering purchasing a policy, we hope you will support this site and get one through our links. This entry was posted in Health & Safety, Practicalities and tagged Cambodia medical care, travel insurance, World Nomads. Bookmark the permalink. I’ve claimed on two separate occasions with RACV Australia. One, I lost my prescription glasses in Myanmar. The visit to the police station for the police report was an incredible experience- who else gets to see inside a prison in Bagan? The other was a trip to emergency department in Royal Hospital for asthma in Siem Reap. Both claims under $1000 but straight forward simple and fast. Do not even consider Allianz. We rented a car in Sicily and had their “theft from the car” plan. Unfortunately, we did have a theft. We did all the right things to comply with the policy – made a police report, submitted a copy of it, etc. It took 2 years to get reimbursed and required the services of the US consulate in Rome, which said it was the hardest task they had had in years. When we tried on our own, Allianz just ignored us. That sounds awful. What grounds were they trying to refuse it on?